The Principality’s location, safe environment and favourable tax system spur many people to investigate how to become a resident of Monaco. Here are the steps you need to take to obtain the precious residence permit. If you’re wondering how to become a resident of Monaco, it’s important to be aware of the difference between Monaco citizenship and residency. As a resident, you have the right to live and work in a country but you are still a foreigner. As a citizen, you enjoy a complete legal relationship with the country and full political rights. Dual nationality is not authorised in the Principality, so if you decide to apply for Monaco citizenship, (more about that later), you must be prepared to say goodbye to any other passports you hold. The tax system is favourable for both residents and citizens. If you’re aged 16 or older and want to live in Monaco for more than three months each year, you need to apply for residency. Conditions vary according to an applicant’s nationality, but regardless of which passport you hold, the following you must take the following steps. First, you must prove that you (or your partner or spouse) own or rent a property in Monaco that is large enough to accommodate all the people living there. If you are the director of a company that owns a house or apartment in Monaco, you will need to provide evidence of this if you want to become a resident. Alternatively, you must prove that you have sufficient financial resources from a professional income, savings or the income of a close relative, partner or spouse. In the latter case, your partner or spouse must confirm in writing that he or she is financially responsible for you. If you are relying on your savings, a bank in Monaco will need to provide a reference. You will need to fill in the official residency application form, which you can obtain from the Residency Section or download from its website. All the documents that accompany it must be translated if they are not in French, English or Italian. A property deed or lease and your most recent electricity bill are accepted as proof of accommodation. You will also be required to supply a valid passport or identity card, your birth certificate and a copy of your clean criminal record from the last two countries you have lived in over the past five years. When you have collated the necessary documents, it’s time to call the Resident’s Section (+377 93 15 30 17) to arrange an appointment. Before doing this, double check that you really have everything required as incomplete applications will not be accepted. During your interview with the Resident’s Section, you will be asked to give details of your professional background, so it’s worth taking along a CV so you can provide the correct dates of your past employment. You will be asked to provide the names, contact details, dates of birth and professions of all your family members, including your siblings. If your application is approved, you will be able to collect your resident’s card from the Resident’s Section within a maximum of six weeks. The card is valid for one year and currently costs €10. If you leave Monaco to live elsewhere, you must hand in your resident’s card. The 2018 Passport Index ranked the Monegasque passport in 11th position. This annual ranking is decided by the number of countries to which a passport grants entry without a visa. Monaco citizenship currently gives visa-free access to 155 countries. 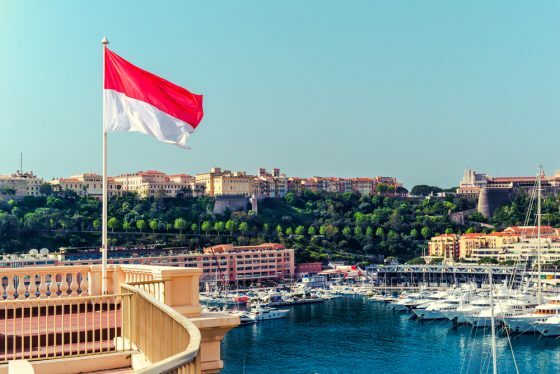 Monaco’s Department of Justice examines applications for naturalisation and presents a report to the Sovereign Prince, who makes the final decision. By the end of the procedure, you must be exempt from military service obligations in your country of origin. As mentioned above, you must also have renounced your previous nationality. The spouse of a Monegasque national can acquire Monaco citizenship 10 years after the date of the wedding. Anyone who has enjoyed residency in the Principality for more than 10 years can also apply for naturalisation. If citizenship is granted, the individual’s children under the age of 18 will be given Monaco citizenship too. The relevant authorities can provide more detailed information on how to become a resident of Monaco and Monaco citizenship. This entry was posted in General, Living in Monaco by Relevance. Bookmark the permalink.